The Maternal Child Care Unit at the Pembroke Regional Hospital (PRH) is committed to ensure that families receive patient centered, safe, effective nursing care. The Health Care Team consists of highly trained professionals with a strong commitment to mothers and families. The PRH Maternal Child Care team consists of Obstetricians, Family Physicians, Midwives, Registered Nurses, Registered Practical Nurses, Social Workers, Clergy, Respiratory Therapists, Lactation Consultants, Residents and Nursing Students. Our services include a birthing unit, nursery (for babies who may require a higher level of care), post-partum unit and outpatient clinic. 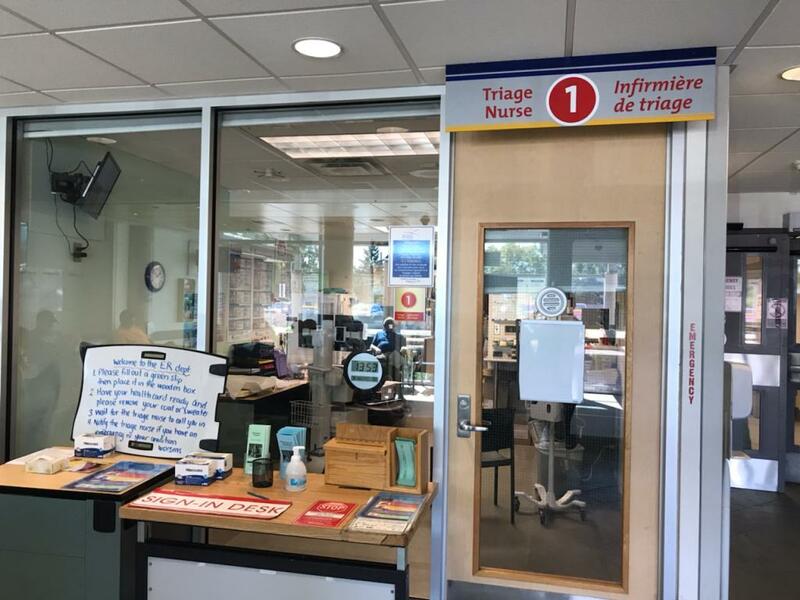 PRH has a close partnership with Children’s Hospital of Eastern Ontario (CHEO), Champlain Maternal Health Regional Program (CMNRP), and Renfrew County District Health Unit (RCDHU) to ensure that patients and families receive optimum patient care. Please be advised that frequent user card rates are available and can be purchased (by cash only) at The Standard Parking Office located at 192 Deacon Street, Monday-Friday- 8-4pm (excluding holidays). Please call office if any questions (613)635-7275. $1.75 for 20 minutes to maximum of $7.00 per day. All new Moms are encouraged to pre-register prior to delivery in an effort to make the admission process easier. 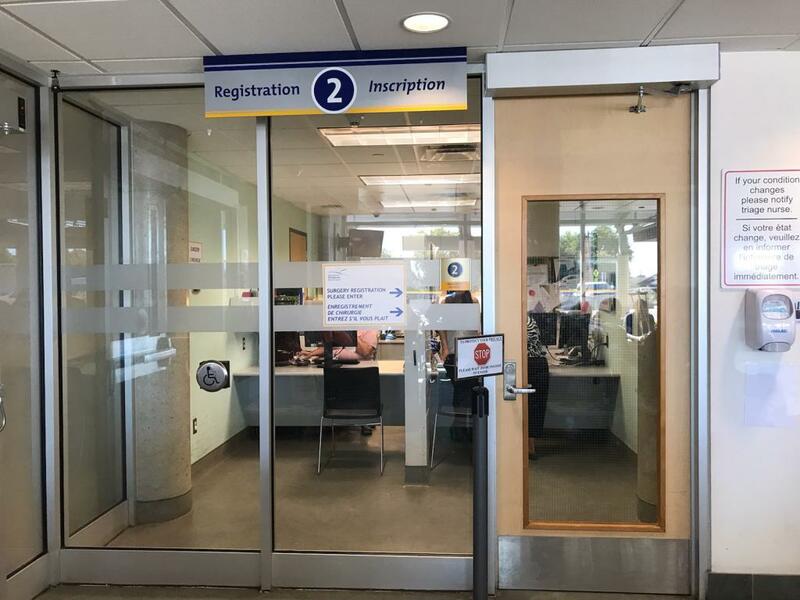 Pre-registration can be completed any day of the week between 9 a.m. and 4 p.m. at the Registration desk adjacent to the Emergency Department. This is NOT the Registration office. There is no need to see the nurse. DO NOT fill out the green slip in front of this office. This IS the Registration office. It is labelled "Registration 2". Please bring health card and Insurance information with you. Please note all our labour rooms are private accommodation, if you have semi-private or ward coverage you will be moved to your appropriate accommodation after delivery. Please note, that you will always have private accommodation for delivery, however when the Maternal Child Care Unit is busy we may not always be able to ensure a private room in the post-partum period. We will make every effort to move you to your appropriate accommodation when a private room becomes available. The Obstetrical and Newborn Outpatient Clinic at Pembroke Regional Hospital is available to women who are pregnant, recently delivered and are under the care of an Obstetrician, Family Physician or Midwife. The Clinic is located on the fourth floor at the Pembroke Regional Hospital. You must register in Emergency Department prior to coming to our clinic. Please bring your health card with you. The Clinic is open Tuesday and Thursday from 09:00-5:00 p.m.
All babies born at PRH will have a Hugs security tag applied to their ankle to ensure that they will not be taken off the unit at any time. Hugs security tag will be removed prior to discharge. Fathers, siblings and grandparents of the newborn are welcome to visit at any time. In order to allow new mothers to rest and receive the care they require, other visitors are welcome between 11:30 a.m. and 8:30 p.m. daily. Visitors may be requested to leave the room in order to facilitate patient care. The Baby-Friendly Initiative (BFI) is an evidence-based program of the World Health Organization (WHO) and the United Nations Children’s Fund (UNICEF). BFI is a health strategy that results in improved mother and infant health. BFI promotes the efficient use of resources within families, health care institutions and society. PRH recognizes the importance of Mother-baby dyad care in the immediate post-partum period. Emphasis is place on ensuring skin-to-skin contact of healthy infants and mothers from birth as much as possible. PRH recognizes the benefits to baby and Mother and view the Mother baby dyad as an essential component of evidence-based maternal newborn care.